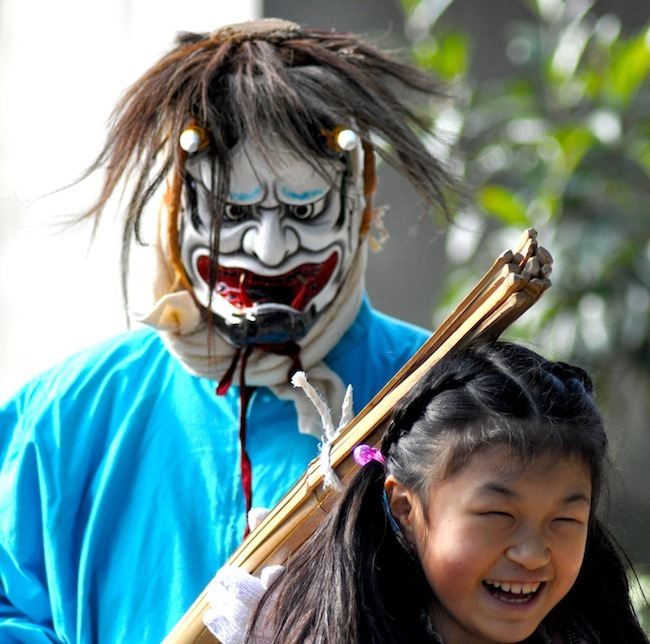 Setsubun is a Japanese Spring Ritual where on the 3rd of February Japanese drive bad luck in the form of devils from their homes. 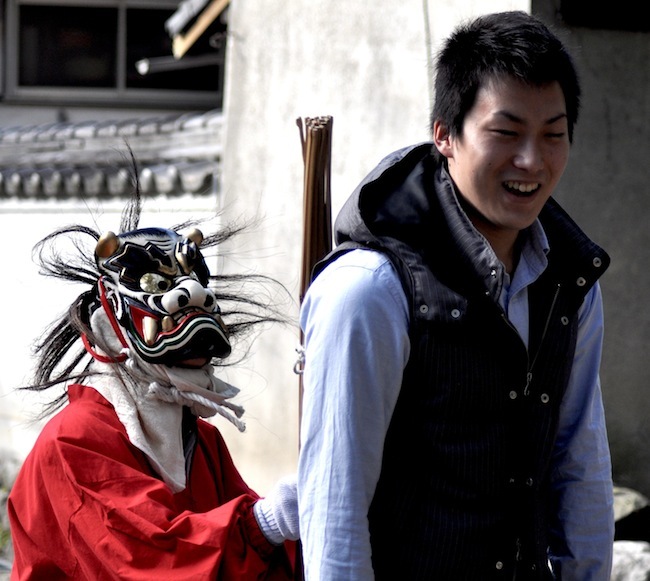 At many temples and shrines throughout Japan, Setsubun activities take place. 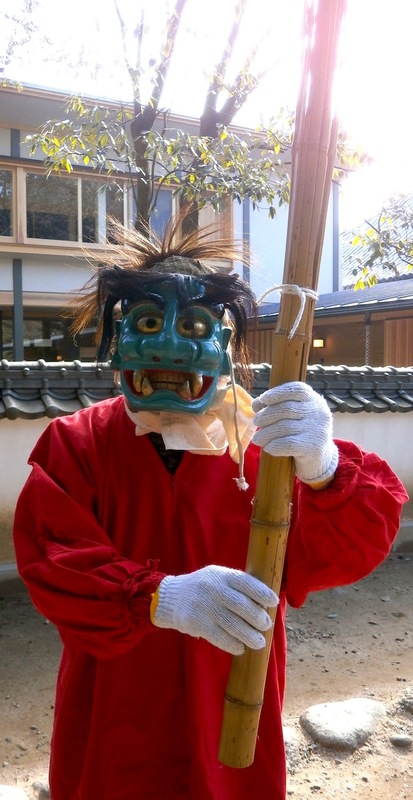 At Ishite-ji Temple in Matsuyama city on the island of Shikoku they have an interesting twist on the typical Setsubun activity of driving away devils. 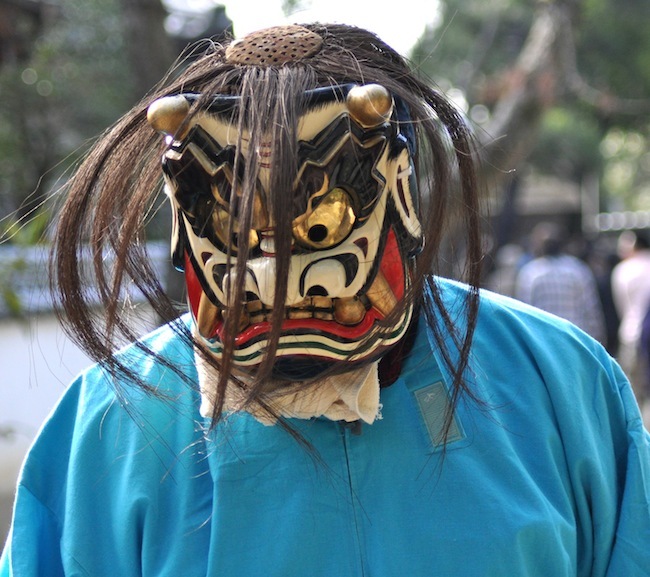 Usually on Setsubun devils known as Oni are driven away by beans thrown at them. Japanese say at the same time “Oni wa soto! Fuku wa uchi!” which means “devils out, good luck in!” At Ishite-ji Temple, the devils actually bring the good luck to people in the shape of bamboo staffs that they use to beat people lightly in a rhythmic cadence. 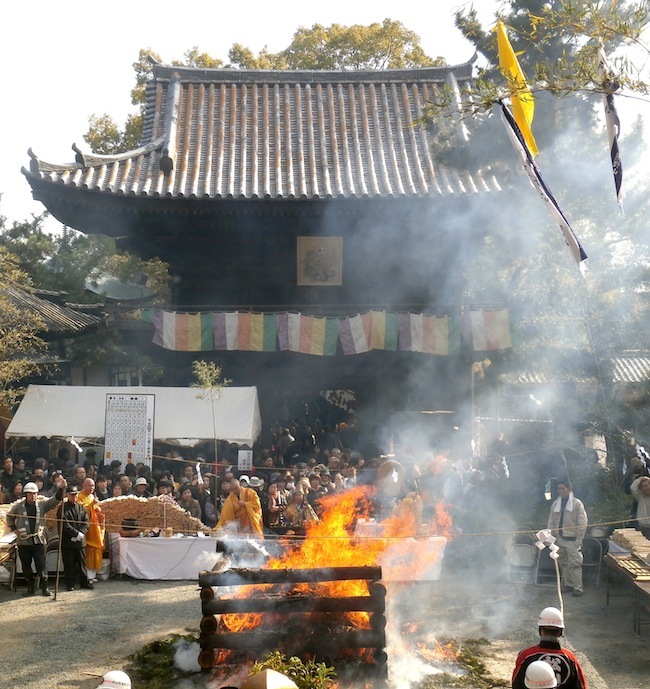 The “beatings” administered by the Setsubun devils at Ishite-ji Temple are anything but painful and are for the purpose of giving the “beaten” good luck. So instead of driving the devils away like they do at many other Setsubun events, people actually run to the devils and let them beat them for the good luck aspect of Setsubun.